« What is the Day of the Dead and is it Biblical? Last Sunday started the week of Easter starting with Palm Sunday. The day where Luke 19:28-44 records Jesus’ triumphal entry into Jerusalem. Notably on the same day that the lambs were being led into the temple courts for the preparation of the Passover sacrifice, Jesus Christ, the Lamb of God was preparing to give himself as the final sacrifice that would win the war over the souls of men. Through His love, God provided a path for humankind to have eternal fellowship with Him, through the sacrifice of His Son Jesus Christ. While the actual term “Easter” is of pagan origin, Easter Sunday which will fall on April 1st this year, is the time of celebration for Christians. It is the day of remembrance when Jesus Christ conquered the grave and resurrected from the dead. But did it happen? Is the Bible reliable or just a construct from a group of men who wanted fame and recognition? One of the purposes of SagacityWeb is to provide the reader with tools to enable them to research on their own the validity of the claims of the Bible. 2 Timothy 2:15 charges us to: “Be diligent to present yourself approved to God, a worker who does not need to be ashamed, rightly dividing the word of truth. Here are some studies to help you divide the Word of Truth on the subject of Easter, Jesus’ death and resurrection. May God bless you and give you wisdom and joy in your search for the Truth through His Word, the Bible! How can you prove Christ’s resurrection? Free online booklet: A New Life In Christ! 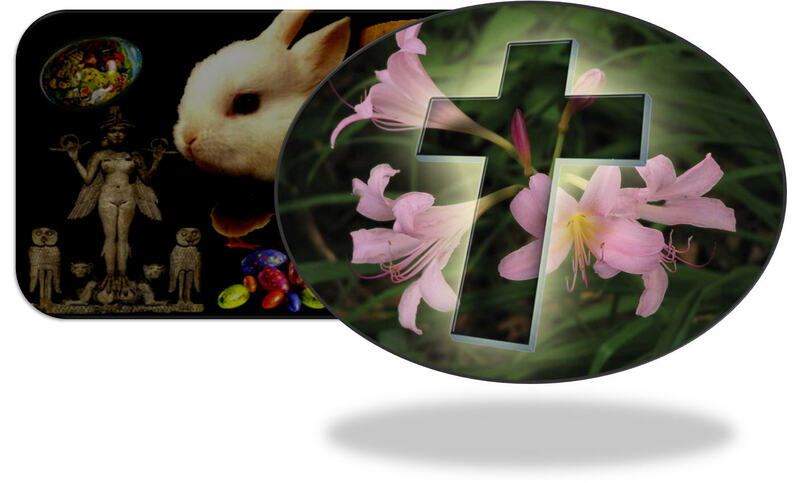 Tagged ash wednesday, easter, good friday, Jesus Christ, pagan holiday, palm sunday, questions about easter, Resurrection, SagacityWeb. Bookmark the permalink.